For 25 years Alan has specialised in safe opening. Our skills, knowledge, experience, database and equipment are waiting to help with your security requirements. Contact us now for assistance. The highest quality safe or the cheapest digital safe, they can all sometimes go wrong. Keys can be lost or burglars cause damage in their attempted attack. Please see our safe identification page for more info. Brilliant if you email some pictures with your enquiry please. Basic cheap digital or fire safes are usually charged at standard locksmith door opening rates. Electronic safe lock upgrades can offer audit and time lock or time delay features for commercial safes. 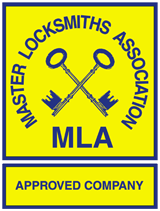 We specialise in non destructive entry and carry out technical lock picking to extreme skill levels. We make our own bespoke tools to open safe and vault locks. See safe prices page for more info. We can manipulate safe combination locks by taking diligent readings to determine lost numbers. We often open several Cencon, Auditcon and LaGard locks in a week without needing to drill or damage the safe. See safe prices page for more info. the type of goods you will be storing – jewellery? documents? data? Call us before purchasing as we can help you make the right choice rather than wasting money on a safe that isn’t suitable for your needs. We frequently carry out safe work in Leicester, Grantham, Newark, Lincoln, Mansfield, Chesterfield, Sheffield, Stoke, Uttoxeter, Coventry, Kettering, Corby and Northampton but also work further afield when required. In addition, we know and recommend many quality safe engineers throughout the UK. Feel free to email us for advice or a quote. Find out about our safe opening prices here.